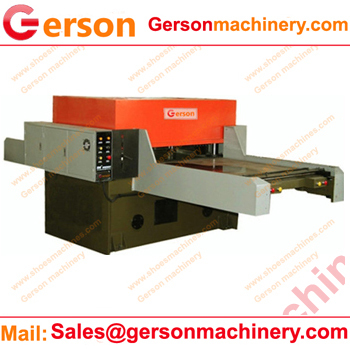 1.The Beam Clicker Press Die Cutting Machine is using four column with manual feed or auto feeding.If automatic feed and continuous cutting Controlled By Computer so the machine can make two to three times the efficiency of production. 2.The machine Fully functional die cutting machine by the cutting die,so it is saving human resources and time. 3.The machine provides good cutting precision better action, and the larger cutting capacity output.Precise cutting balance, can greatly reduce the loss of the cutter and cutting board. 5.For further information or any question ,please contact Gerson .Gerson can custom build any die cutting machine without special fees.